If Chris Ware, as an entity, had to be represented as a symbol, it would have to be a funny bone, wouldn’t it? Sure, design-wise, there would be some problems to solve in that endeavor. And yes, the “funny” sensation is actually the ulnar nerve. But think about it. A laugh from Chris Ware does not come without a little pain. His work is not for everyone. It takes a bit of resignation – acceptance of human suffering, imperfection and, sometimes, ridiculousness. 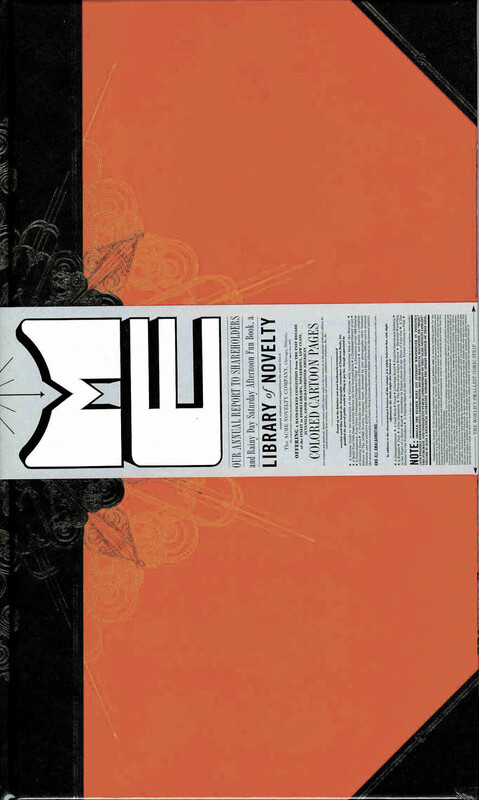 The Acme Novelty Library, published by Random House in 2005, serves as a compendium of his work. Cartoons, some seriously mini comics, and faux adverts, old and new, in a variety of styles and formats, are held together by a biting, sometimes nihilistic wit and charm. Ware is known for his distinctive style, neat as a pin, often as tiny, and nostalgic of the early 20th century. There’s a meta or reflexive quality to his work. A magnifying glass is helpful, if not completely necessary. But then, of course it should be, because Ware is revealing tiny instances reflective of the bigger picture. His work is smart and punny, populated with Goethe jokes and social commentary, but a healthy and hospitable sense of camaraderie to balance its brows. Take, for example, “The Hopeless Romantic”, so literal in its title’s interpretation and so hilariously, well, hopeless. Or the Pompeii spot, in which the ancient city’s inhabitants, oblivious to Vesuvius’ eruption, go about the activities in which they will soon be preserved in volcanic ash. Sometimes heartless and sometimes sad, his characters and their antics, are consistently plausible. The Acme Novelty Library’s pages are crammed with these poignant and pungent narratives, any of which could stand a bit of rumination, all of which add up to a seriously great coffee table book. Take your time with this.